In 1794 French refugees settled in High Falls (now Lyons Falls), where the Moose and Black rivers meet to crash over rocks seventy feet high. These were Royalist who fled France because of the Revolution. The harsh cold climate and isolation were too much for the pampered aristocrats accustomed to the mild weather of France and they soon left. 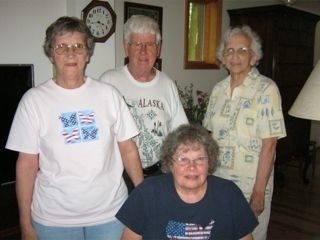 In May of 2005, an interested group of people decided to form a history club to organize and preserve the past of the Village and surrounding area. Within five years, the Lyons Falls History Association was organized and chartered by the New York State Education Department and became non-profit. A room was acquired in the back of the Falls Pharmacy and turned into a small museum. It complements a pharmacy museum in the adjoining hall. Pictures and materials are constantly being scanned and turned into DVDs of the villages around Lyons Falls. Notebooks are categorized by subjects and pictures and clippings put in them. There is also a large selection of local history books. The Association meets several times a year and in the summer takes field trips to local historic sites. The museum is open by appointment and every Tuesday during the summer from 1:00 to 4:00 p.m.
Harold Allen was born and has lived in the Lyons Falls area for his entire life. He is a retired dairy farmer with additional business experience as a bank director and appraiser. His ancestors came to Lewis County in the 1800s and he is familiar with and interested in the history of this community. Jane Gould Allen was born in Lyons Falls, graduated from Lyons Falls High School, and has lived in the area all her life. Her family were early settlers and built several mills in the area, including Gould Paper Company. She was a college business major and served as President of the Lyons Falls National Bank for many years. She is a former President of the Lewis County Historical Society. George Cataldo was born and grew up in Lyons Falls, graduating from Lyons Falls High School. He has lived most of his life either in the Village or within ten miles. He enjoys and is proficient at research and is acquainted with many knowledgeable individuals who will help verify his information. He has collected valuable stories and books on local and state history. Roy Hammecker is a retiree who owned an independent family-owned pharmacy in Lyons Falls, now run by the third generation. Roy was born and raised in the area and, after thirty-five years in the business, "knows everybody in town." He has a lifetime of familiarity with the physical condition of the area and the backgrounds of several generations of townspeople. As a businessman, he has financial, public relations, scientific, and an organizational background. Roy is the current President of the Lyons Falls Historical Society. Susan Hammecker was involved in the pharmacy business with her husband for over twenty years. She was immersed in all aspects of managing a store in our small village. She holds a Liberal Arts degree in English with a minor in History. She is also very interested in collecting and preserving the history of the area for future generations. Susan is the current Secretary and Treasurer of the Lyons Falls Historical Society. Mary Lenahan graduated from Lyons Falls High School and CCBI, a business school in Syracuse. She is currently the Treasurer of a local family-owned trucking business started by her father in 1928. During her employment, she has served in several different positions and has acquired organizational and computer skills as well as financial abilities. She has also done extensive work in family genealogy and remains interested in preserving the history of our area. Shirley VanNest graduated from Lyons Falls High School and has spent most of her adult life in Lyons Falls. Her mother was Lyons Falls Village Historian for over thirty-five years. During that time, Shirley had numerous occasions to discuss history of the Village with her and also cataloged pictures and news stories for her files. She also helped out during times of her mother's absence. Shirley is the former Treasurer of the Lyons Falls Historical Society. Kathy Skorupa is originally from Savanna Ill where she met Jim who was stationed there in the US Army. 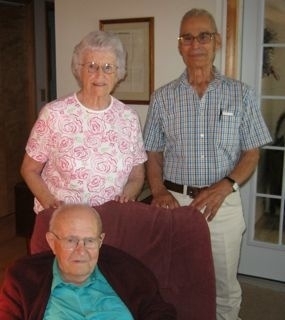 Jim is a lifelong resident of lyons Falls and they have been married 46 years this August. Together the couple loves the community and its history. Kathy is happy to serve as the Historic Associations Treasurer. Marry Ellen McManus born in Lyons Falls on Franklin St. also called the Rock Patch. Along with late husband Tom they purchased the former McGee Hotel which was also known as the Gaffney House and Farney Hotel. Mary Ellen attended Lyons Falls high school and was a 1960 graduate. She raised four sons Paul, Fred and the Late Douglas and William- (Jake). She worked at the Lyons Falls Post Office and retired after 30 years of service. She is on the Board of directors for the Lewis County Office of the Aging. She volunteers for the Lyons Falls Library, St. Johns church, and the Lyons falls Firemen's Auxiliary. Mary Gydesen was born near Lyons Falls. Daughter of Perry and Frances Harris Nye. She has spent her entire life in the Lyons Falls area. Being a descendant of several early settlers helped develop her deep interest in local history and the Lyons Falls History Association. Bonnie Manning was born and raised in the Lyons Falls Port Leyden Area. She graduate from CCB in Syracuse. She worked as Secreatry at the Sacramento Army Depot in California. She returned to Lyons Falls to live and raise her family. She worked as a secretary at Griffis Air Force base in Rome. Her and her husband Bill, also a native of Lyons Falls, love ATV riding and snowmobiling. 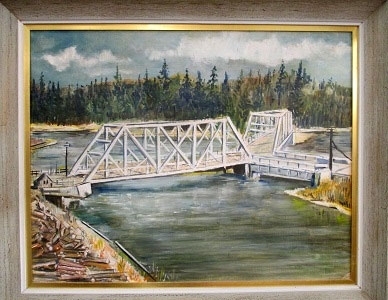 She became interested in history when her dad, who was also a Lyons Falls graduate, would tell her stories of how he would play jumping on the log jams on the Moose River. Lyons Falls is a piece of Americana and those by-gone days is a remarkable era that needs to be preserved for future generations. 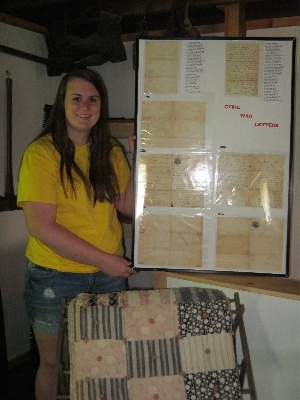 Rebecca Marturano is the History Association's Pratt Northam intern for the summer of 2015. She graduated from Beaver River Central School in 2011. She is attending Plattsburgh State University for English and Gender Studies. 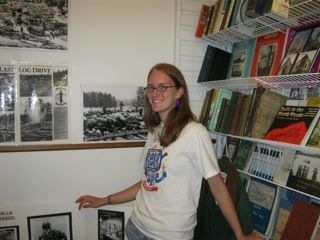 Terri Bauer was the History Association's Pratt Northam intern from 2011 to 2014. She graduated from South Lewis High School as Valedictorian of the Class of 2011 and graduated from Elmira College with a Bachelor's in History and Childhood and Adolescent Education. While working for the History Association, Terri helped renovate the new museum on Laura Street, launch the website, and create a summer history program for local students called History in the Making.